The ranch opener was a bit slow and if I am being honest I will say that trend continues. However I believe the ranch is on the verge of some great fishing. I have seen handfuls of brown drakes in the 3rd channel and it seems there are more and more each evening. The fish are not really on the duns as of yet but I think it will happen anytime. I am also happy to report that I have been seeing good numbers of smaller fish in the ranch. I have also have been seeing…or I should say spooking some very large fish off the banks. We all have to keep in mind that we have had a normal winter here and so hatches seem to be coming at more of a traditional time. Please call me anytime for an up to the minute report of ranch conditions as I try to get in there at least once a day. The box has been very productive over the last few days. 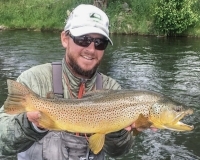 The flows are 736cfs and anglers wading and floating are have great success. I would have Henry’s fork foam stones in #8 and #10. I would also have a good selection of smaller bead heads. Brown #16 zebras and #16 tungsten torpedo to name a few. I would also have a handful of #10 black and brown rubber legs. A few caddis patterns would also be a good idea. I like the tan #16 e-z caddis and # 16 tan spent partridge caddis. Green Drakes would also be a good Idea. One thing I enjoy doing in the box is getting up with the sun and doing a streamer run. I generally have the whole river to myself and the fishing can be great. The lower has been great! However the lower river is seeing a ton of pressure. 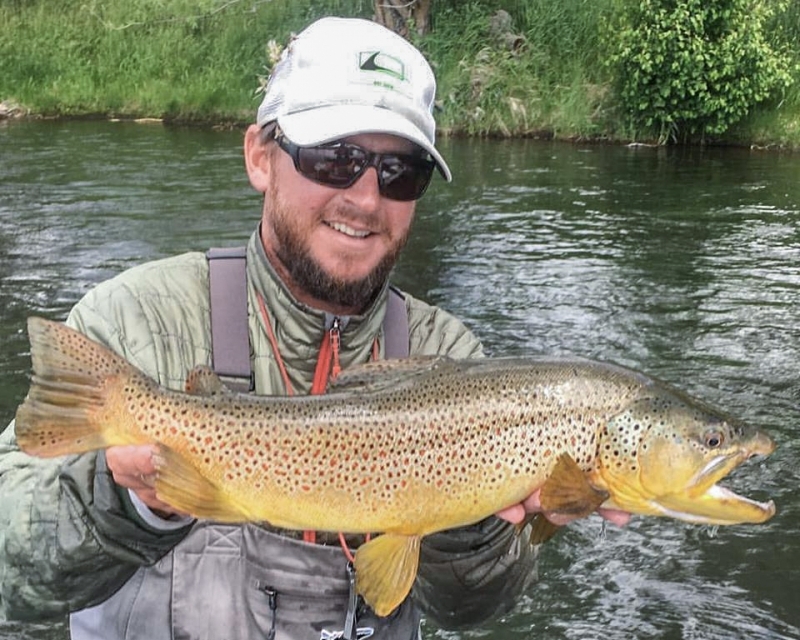 The Henry’s Fork has been about the only place to fish so far this spring and everyone from everywhere has been fishing there. The good news is that other area rivers are beginning to come into play. Some other options are the Fall River and the Madison. 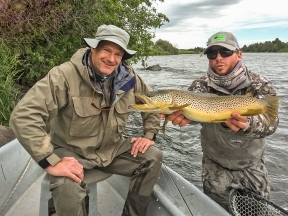 Fishing in Yellowstone has also started to pick up. If the lower river is your only option then I would have some green drakes and gray drakes. The Lawson’s Green drake #10 has been working well and we are seeing gray drakes in the evenings. Flavs and pmds are also plentiful on the lower river. The Madison has been fishing very well. Look for larger fish to be tight on the banks. I would be looking for the adult salmon in the next couple of weeks. In the meantime #8 black rubber legs has been working. I would also have a good selection of caddis pupa and some adult caddis. The e-z caddis is my fly of choice. Some caddis emergers #16 is also a great idea. If you’re planning on streamer fishing the Madison just make sure you’re covering all the holding water the best you can. The two hot spots in the park are the Madison and the Firehole. The white millers are out in force! Try using a #16 tan e/c caddis will work very well when the millers are on the water. 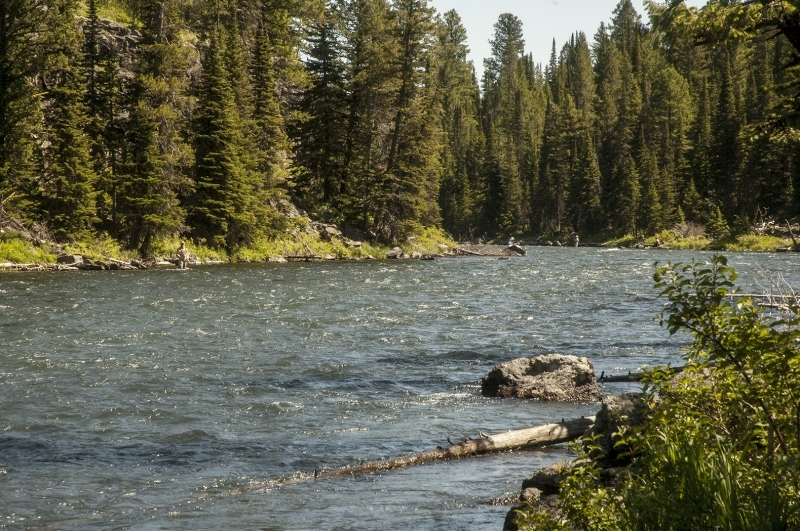 Remember that the Yellowstone River in the park is not open until the 15th of July. I don’t have any new info on Henry’s Lake. The few fish that are being caught have been very large. I would fish damsel nymphs off the banks. Hebgen has been fishing ok. I think it will be a bit before we start to see the gulpers going in good numbers.